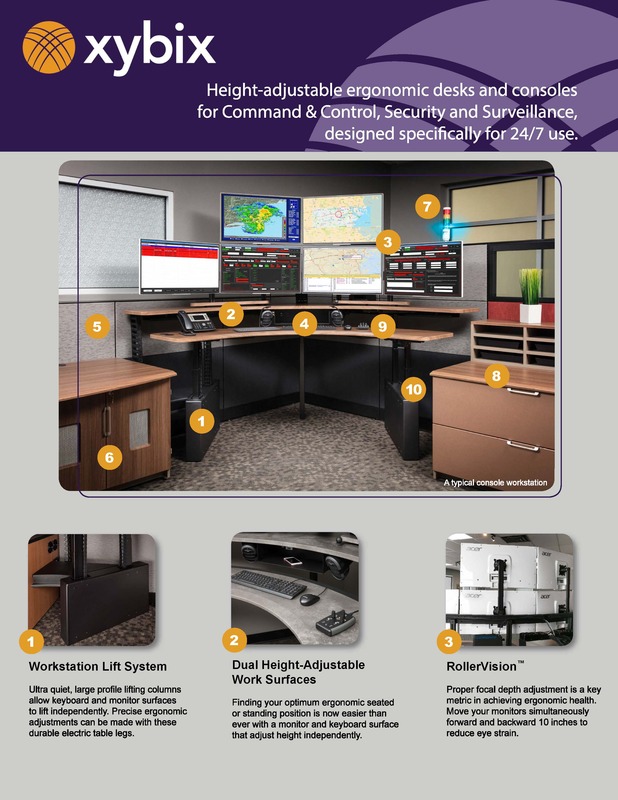 Introducing the next generation of control room furniture consoles, Xybix's Eagle line. With the latest in design, comfort and durability, Xybix's new consoles provide everything you'll need to keep your control room beautiful and updated! Download the features you'll find on these modern and customizable control room consoles. Read more about Xybix's Eagle Consoles in: What's with the Eagle? Xybix's Eagle Dispatch Consoles Unwrapped.